We are all aware that the marital relationship is regarded as extremely important in Islam. In addition to fulfilling half our deen, marriage is a safeguard, a place to find peace, and also a strongly recommended sunnah. As we can see from the above verses, marriage is ideally meant to be a source of emotional comfort to us. Marriage allows us to experience love, mercy, understanding and peace from someone who is a companion for life. Our blessed Prophet(pbuh) showed emotional understanding towards his wives in many ways. He was known to express his love unabashedly for his wives and showed us several examples of how to kindly and thoughtfully treat our spouses. This hadith shows that our beloved Prophet(pbuh) considered his wives’ emotional need for happiness and enjoyment through halal entertainment. This hadith shows that our beloved Prophet helped his family with their chores, indicating that he was always thoughtful and cared about easing things for his family in any way he could. Our beloved Prophet cared about the feelings of his wives and would console them with humor and caring words, without hurting anyone in the process. When you practice empathy in your marriage, you will transform your marriage into a stronger, more real and more enjoyable union. Spouses will actually know and love each other for who they truly are In sha Allah, when they are able to bond at an emotional level. Most people agree that open communication is the cornerstone of a healthy marriage. However, marriage therapists believe that ordinary communication is not enough. What a marriage really needs to thrive is emotional understanding, or empathy. Usually, the more recognized problems in a marriage are only surface issues. Couples need to dig deeper to uncover the real underlying problems in their marriages. These tend to be emotional problems, such as not feeling respected or not feeling appreciated. How can we practice empathy in our marriages? Train yourself to be more aware of your own feelings. 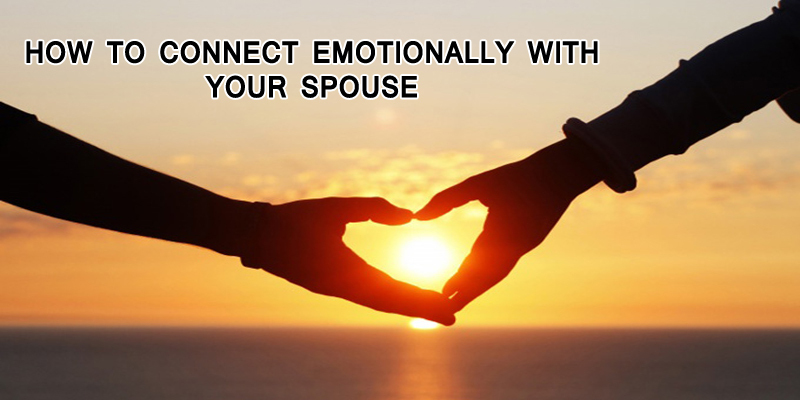 This in turn will help you recognize the feelings of your spouse and will also improve your communication. Your ability to feel empathy towards your spouse depends on how much empathy you are able to show to yourself. Example: A wife realizes that she is feeling unhappy because her husband seems too tight with the family budget. She respects her husband’s desire to save money, but she also feels that he is unnecessarily frugal. She decides to address the issue and talk to her husband about her mixed feelings, while showing understanding of her husband’s point of view. When your spouse is emotionally distraught, show that you understand your spouse’s feelings. Your spouse wants to feel heard and understood by you. You play one of the most important parts in their lives, so what you say to them matters immensely. While doing this, resist the urge to give advice or a solution. That is not what they are after. They simply want someone to relate to them. Your spouse is not a mind reader. Share your thoughts and feelings about your inner world. Even if you are not sure how you feel, you can and should share your mixed feelings with your spouse till you are both able to understand your feelings better. Example: Many Muslim couples struggle with issues of physical intimacy in their marriages. They may feel shy to talk about their physical intimacy problems, but how will your spouse know what you truly think and feel about this topic if you do not tell them? As mentioned above, self-empathy is extremely important in resolving conflicts with your spouse. If you are feeling angry, you should be aware of your anger and wait until you feel calmer before talking to your spouse. Action tip: The next time you are feeling a negative feeling, such as anger, remind yourself that this is not the time to talk to your spouse. Wait until you feel calmer to discuss issues with your spouse. When you are calm enough to talk about disagreements with your spouse, strive to empathize with him or her. Ideally, you should summarize his or her point of view to show that you truly understand, before trying to make your case. Real counselling technique: Many therapists ask family members to talk about an issue from the point of view of another family member. The goal there is to build empathy and to “feel” the issue from the other person’s perspective. Practicing empathy is a way to show that you care about your spouse. Therefore, by practicing empathy you will be able to build a deeper relationship with your spouse, handle conflicts with more understanding and be loved for who you truly are, In sha Allah.